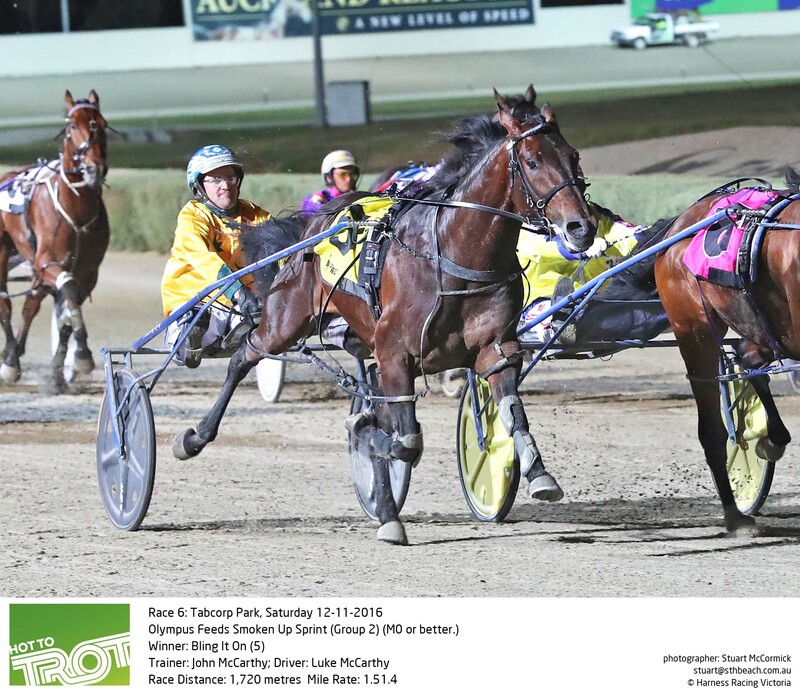 THE return of former NSW Horse Of The Year Bling It On for his first start since the Hunter Cup will highlight tonight’s meeting at Tabcorp Park Menangle. The classy son of American Ideal has been fitted by a first-up easy trial at Menangle when he finished third to My Alpha Rock should have the Grand Circuit star ready to fire in the 2300m Group Three Joe and Michael Ilsley Free-For-All. Listed as a $1.40 shot in early markets, Bling It On will have to contend with the outside of the front line although his reinsman Luke McCarthy has declared the 2017 Hunter Cup winner ready to go. “Most of Bling It On’s training these days is either swimming or in the water walker, as you tend to do with the older horses,” said McCarthy. “We had planned on trialling him again during the week but he pulled up really well from that first trial and his work has been really good and we feel he is forward enough to return to racing. McCarthy said he always felt Bling It On’s best form throughout his whole career was always over the longer distances. “We didn’t really want to race him in Sydney over a mile first-up with horses like Majordan running those really quick times at the moment. Certainly a trip to Queensland during the winter months for their big feature racing is definitely at the forefront of the minds of McCarthy and Bling It On’s trainer Craig Cross. “He’ll definitely go to Queensland, he’s run some of his best races up there,” said McCarthy. “He won the Nursery as a two-year-old, the Derbys at three and other big races as a five-year-old and other features up there so he really loves Queensland. “We’re really looking forward to getting him back up there. McCarthy said the other stable star Mach Doro would stick around racing at Menangle and be aimed at some of their bigger mile races.